Nuclear energy CEO was wounded as he left his home this morning. THE HEAD OF AN Italian nuclear energy company has been shot and wounded outside his home in Genoa, according to Italian authorities. Roberto Adinolfi is the CEO of Ansaldo Nuclear, a division of the state-controlled Finmeccanica company. The organisation has designed nuclear energy production facilities in China, Romania and the Czech Republic. Adinolfi was shot in the leg by a gunman as he left his home this morning and has undergone surgery. His injuries are not believed to be serious. The gunman fled the scene on the back of a scooter. The gunman and the person driving the scooter were both wearing helmets, La Repubblica reports, and the bike used in the attack has been found. It is unclear who carried out today’s attack, though Italian media reports that anarchists may have been behind the shooting. Some anarchist groups had called for a change in direction that could lead to armed action, security sources were quoted. 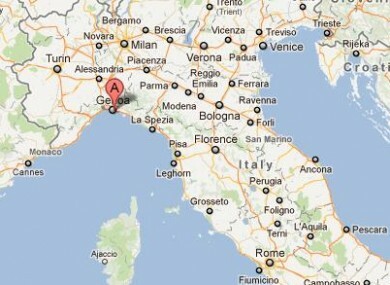 Email “Head of nuclear energy company shot in Genoa ”. Feedback on “Head of nuclear energy company shot in Genoa ”.